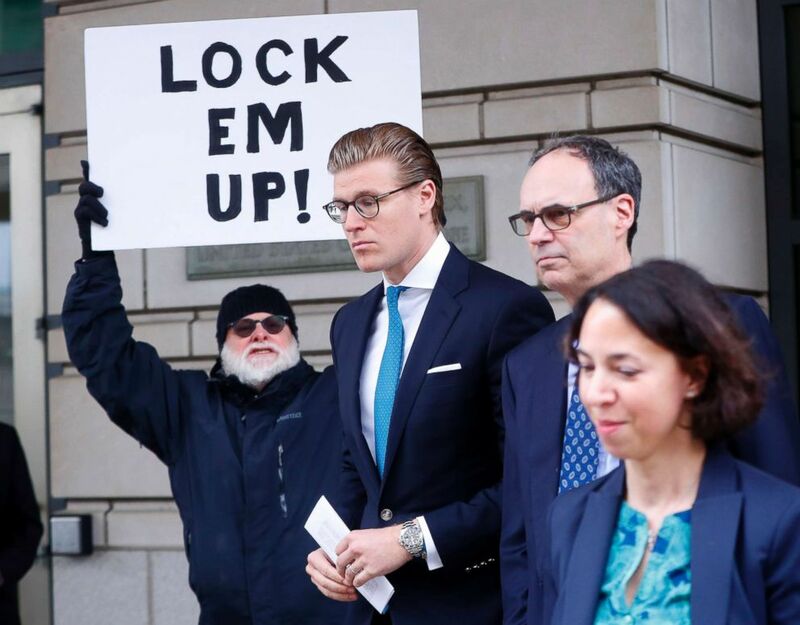 Alex van der Zwaan, the Dutch attorney who pleaded guilty to lying to federal investigators, was sentenced by a federal judge to 30 days in jail and a $20,000 fine on Tuesday. Van der Zwaan, 33, becomes the first person sentenced in special counsel Robert Mueller’s probe into Russian collusion during the 2016 election. The son-in-law of a Russian oligarch, van der Zwaan entered his guilty plea in February for lying about his work in Ukraine with Trump campaign chairman Paul Manafort and deputy Rick Gates. He has no known ties to the Trump campaign. But in sentencing discussions filed with the court, Mueller alleged that van der Zwaan and Gates held discussions with a business associate who was a former Russian intelligence officer during the final months of the 2016 campaign. Alex van der Zwaan leaves Federal District Court in Washington, D.C., on April 3, 2018. Judge Amy Berman Jackson told the court that she wanted to impose a sentence that would serve as a deterrence to others. Jackson said she does not consider van der Zwaan a flight risk and will allow him to voluntarily surrender. Jackson added that she would allow van der Zwaan to have his passport back after his 30-day sentence, at which point he can self-deport if Immigrations and Customs Enforcement allows. Special counsel spokesman Peter Carr told ABC News that, as with any federal case, the Bureau of Prisons will determine where van der Zwaan serves his sentence. Before hearing his sentence, van der Zwaan addressed the court about his conduct in lying to federal investigators and apologized to his family and the court. “What I did was wrong,” van der Zwaan said. Van der Zwaan’s attorney, William Schwartz, sought to paint a sympathetic portrait of his client for the court, describing his time in the U.S. as “untethered,” with no job, routine, or friends. Van der Zwaan has been living in a Residence Inn, Schwartz said. Schwartz also made a point of noting that his client “returned to the U.S. voluntarily to correct the record” and turned over his devices. Andrew Weissman, an attorney for the special counsel, argued for jail time and pushed back against van der Zwaan’s request for leniency. Weissman agreed with Judge Amy Berman Jackson, who said at the start of the hearing that guidelines allow for a sentence of zero to six months.